TwistedBrush has more than 5,000 brushes available, along with all the features that artists love to use: layers, realistic media, photo cloning, tracing, masks, particles, filters, script recording, scripts to AVI, drawing tablet support, brush shapes, patterns, textures, Adobe compatible plug-in support, integrated scanner support, image brushes, drawing guides, reference image views, dirty brushes, scratch layer, dynamic palettes and more. *Layers and Transparency: TwistedBrush Pro Studio fully supports transparency and layers with all the standard layer mixing modes plus many unique mixing modes that can't be found anywhere else. *Masks: Extensive mask support for protecting and selecting parts of your work. 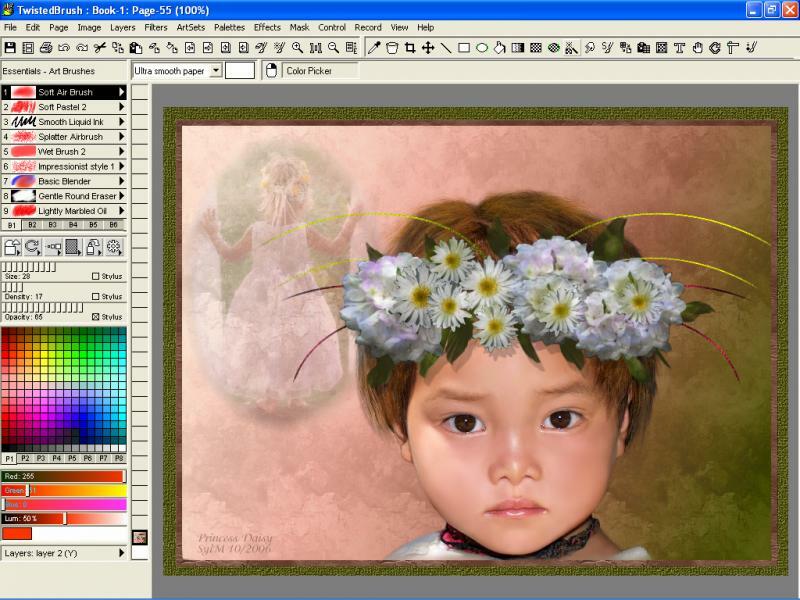 Use the Magic Wand tool with the wide range of options for creating masks or use masking brushes to paint your masks. *Cloning: With the cloning brushes included in TwistedBrush Pro Studio and available for TwistedBrush Open Studio you can do all the standard cloning actions for photo touchup or convert your photos into the look of paintings or drawings. Qweas is providing links to TwistedBrush Pro Studio 18.14 as a courtesy, and makes no representations regarding TwistedBrush Pro Studio or any other applications or any information related thereto. Any questions, complaints or claims regarding this application TwistedBrush Pro Studio 18.14 must be directed to the appropriate software vendor. You may click the publisher link of TwistedBrush Pro Studio on the top of this page to get more details about the vendor.